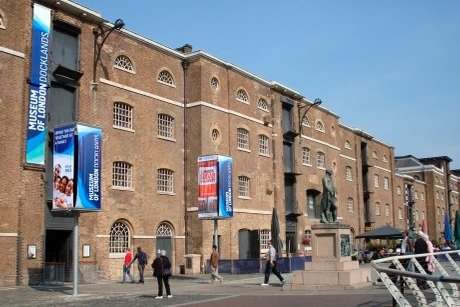 Key Stage 3 and 4 History students can visit the Museum of London Docklands in March or June next year for a new session focussing on Britain’s former slave colonies during World War One. Session dates currently stand as 11th March and 17th June. There are three sessions on each of these days lasting 90 minutes, beginning at 10am, 11am or 12.15pm, and students will also be able to take a 30 minute self-directed gallery tour after the workshop. These sessions have a direct link to the National Curriculum. KS3 History delves into the impact through time of the migration of people to, from and within the British Isles, while KS4 looks at the precious liberties enjoyed by citizens of the United Kingdom – both of these themes are significant in the workshops. Classes, through unique interviews and historical evidence, will look beyond black volunteers already living in Britain before 1914 to discover ‘black colonial subjects’ whose war stories began 4,000 miles away across the Atlantic and gain an understanding of similarities and differences between wartime Britain and the Caribbean. The visit will include the opportunity to see the documentary film Mutiny, revealing black British Caribbean experiences through the testimonies of black veterans, and a presentation and Q&A session with Tony T, independent producer of Mutiny and specialist in Caribbean heritage. For further information visit www.museumoflondon.org.uk.